Surprisingly, being a resident of the Sunshine State, I do love a rainy day. Of course, in the summer time, we have afternoon thunderstorms almost every day. I am not a person who likes to be out in the rain running errands or getting in and out of the car (Why is it that getting the umbrella into the vehicle always makes me wetter than if I didn’t have one at all?). 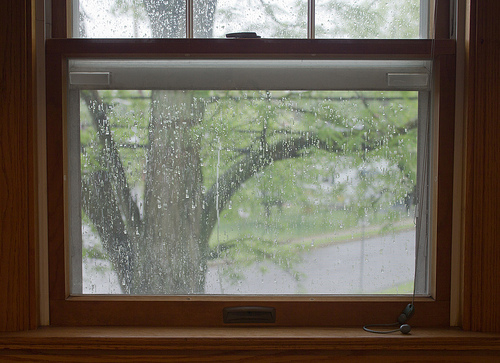 On rainy days, I want to be inside watching the rivulets of water stream down the window pane and listening to the drops patter on the roof. Very soothing and relaxing. Deluges can stay away though since they mess with the satellite dish!